Printed by J. Enschedé & Sons, Haarlem. † Date of issue, where not 1950. To paraphrase Gibbons , the Netherlands claimed north-west New Guinea in 1828 and an 1884-5 treaty established the borders between Dutch, British and German New Guinea, amended in 1895. The stamps of the Netherlands Indies were used until 1949, when that became independent as Indonesia. Indonesia continued to claim the area and in October 1962 administration was tranferred to the United Nations Temporary Executive Authority (UNTEA) as West New Guinea with the intention of transferring control to Indonesia in 1963. 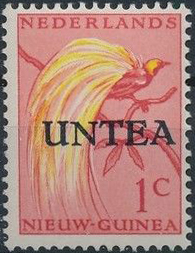 Overprinted Netherlands New Guinea stamps were issued. There were two versions of the overprint, one made locally (dull ink, SG1-19) and the other by Enschedé (shiny ink, SG20-38). Scott lists only one set in the Standard catalogue  as Sc1a-19a, but notes that there are two local and two Enschedé overprints distinguishable by size and detailed in the US Specialised catalogue. 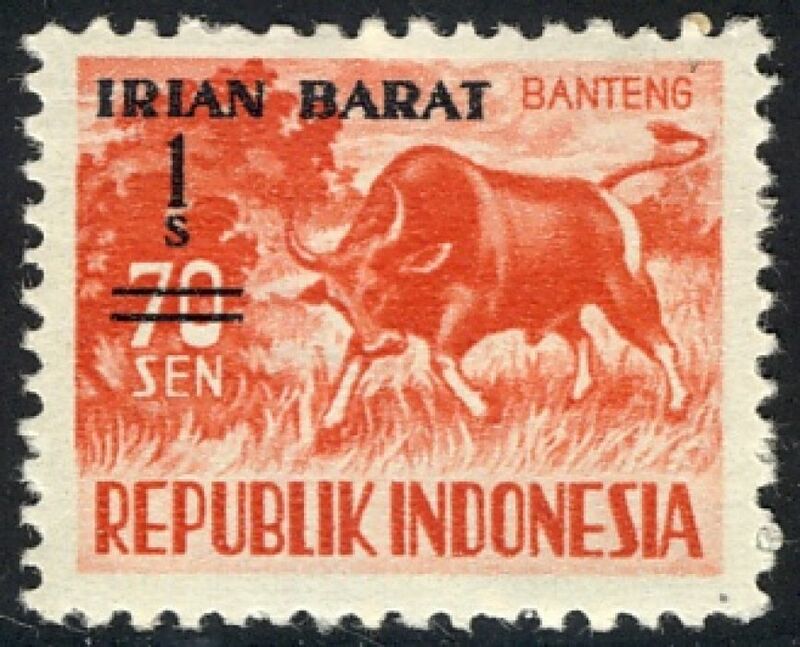 The tranfer took place on 1st May 1963 and the name changed to Irian Barat (West Irian). These are listed with Indonesia in Scott and by Gibbons in Pt. 21. Sources: ScS , SGP4 , SGP21.